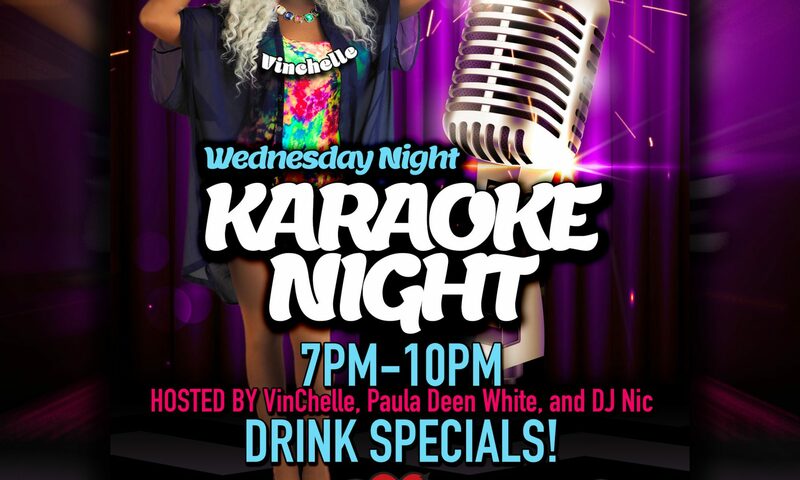 Join Vinchelle & Sutton, along with DJ Mimi Imfurst for Shut Up! 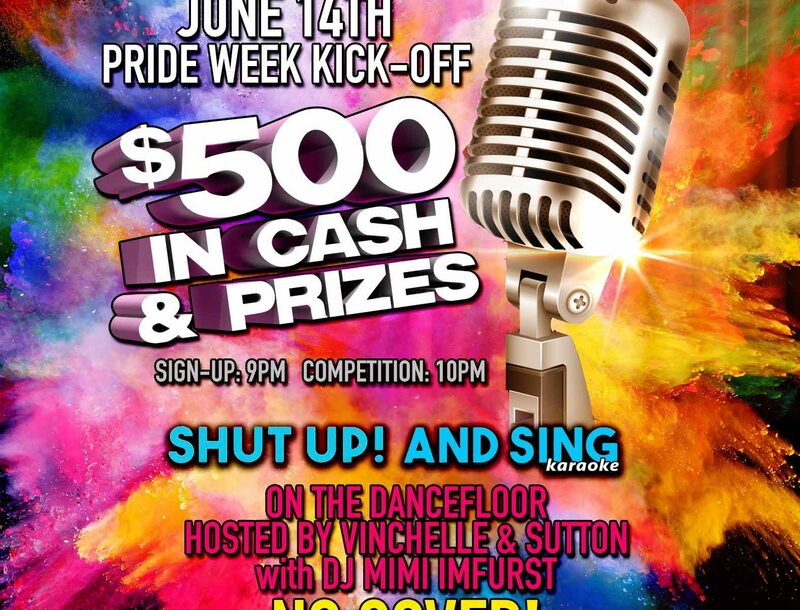 And Sing Karaoke: Pride Version. 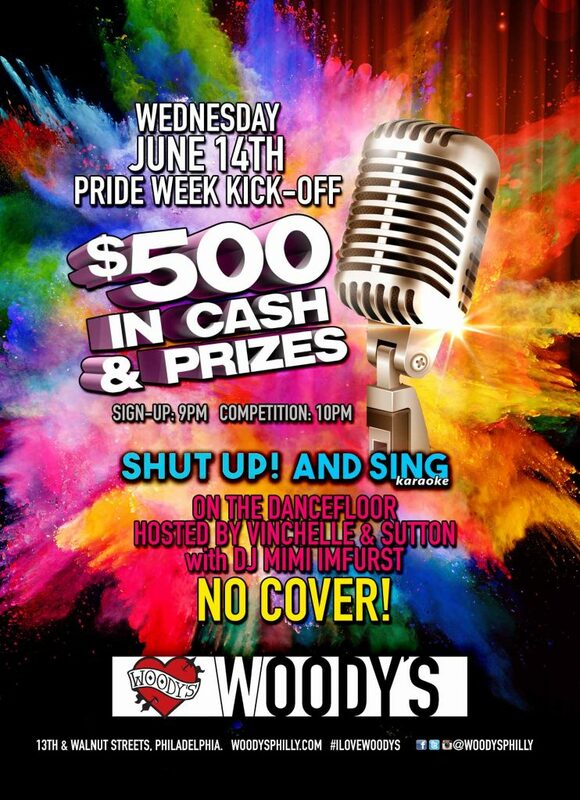 Sign up by 9PM to compete for $500 in cash and prizes. 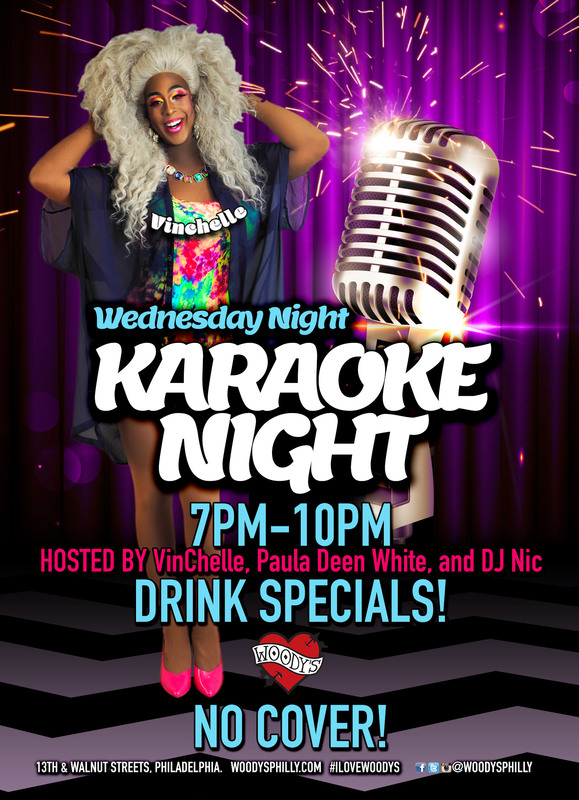 Competition starts at 10PM. 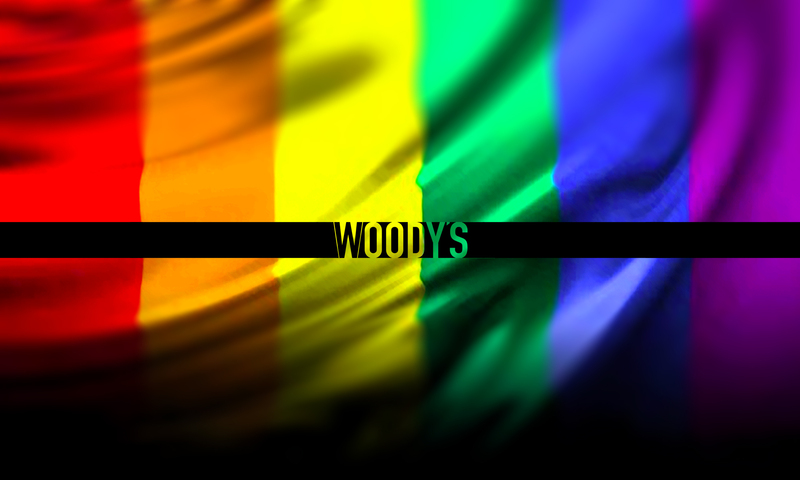 Woody’s Pride Week Kick-off! 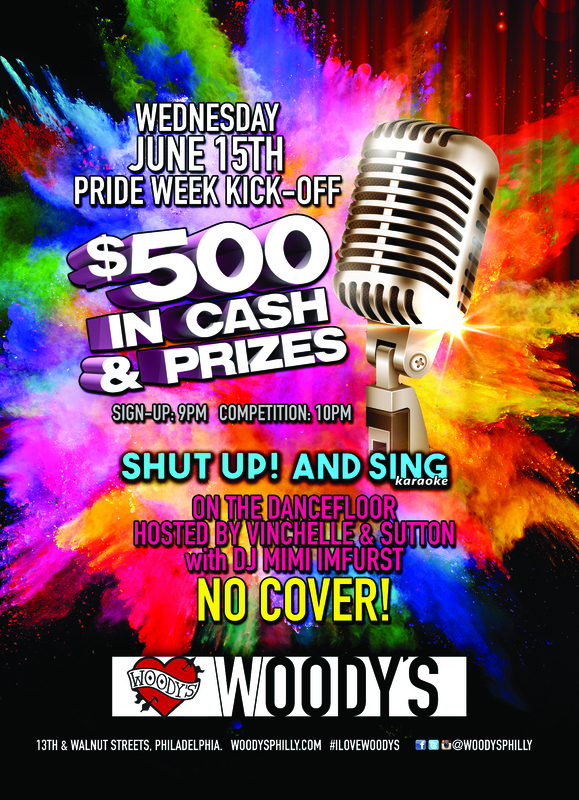 This event happens on the main dancefloor upstairs.